When I read this I knew immediately what the author was talking about. I knew I had to get this book because it already referenced a part of my life with fond memories of dancing to TKZee. I was a senior in primary school, getting ready for high school, when Halloween by TKZee came out. It was the biggest Kwaito album of all time, and it remains a staple for dance floors across South African townships. I used to spend December holidays with my cousins in Motherwell, Port Elizabeth and the December Halloween came out was one of the best Decembers of my life. So it is through Siphokazi that I come to this book. 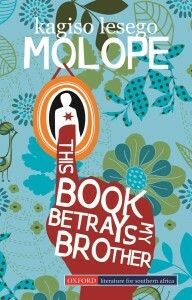 After reading This Book Betrays My Brother I remember thinking what a South African story. This is a story about how gender operates in South African communities. It is evident in the way Kagiso Lesego Molope lays out the story how she has been paying attention to the ubiquitous-ness, the taken for granted, and ultimately the destructive nature of a misogynistic culture like the one we have in South Africa. The detailing of the seemingly innocent ways boys are praised and girls are cautioned is revealing. This is a story a sister tells about her brother who she idolises but then she is witness to a darker side of him. 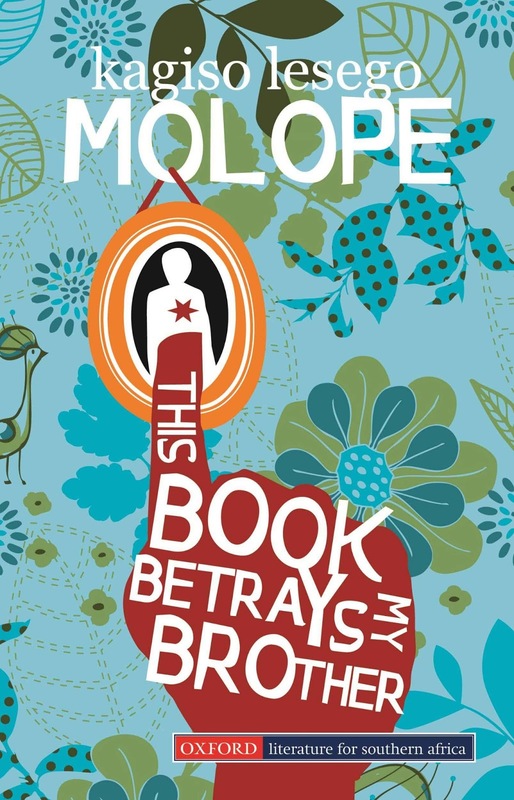 What Kagiso Lesego Molope accomplishes in this beautiful yet heart-wrenching novel is the detailing of the familial and societal structures that create her brother – Basimane – the man and the things he is capable of. The book opens with the details of Basimane’s birth that was so monumental it crossed country borders. His birth was like the coming of Jesus and then he was treated like a king throughout his life and Naledi his sister, who is the narrator, is basically invisible in his shadow. The politics of social mobility in this book speak to the ambivalent place that some black South Africans find themselves. Naledi and Basimane and their family move out of the poor section of the location into the more middle class section but Basimane more than anyone else in the family retains strong affiliation with the “real” township to the dismay of his mother. The fissures that class creates amongst black South Africans are not adequately dealt with in everyday conversation and it is also absent in fiction. When black families move out of the township there are all kinds changes that need to be negotiated from new neighbours to the new relationship one has with the township one comes from and the people in it. A very strong thread in this book is that the people we know and love are capable of some horrible things. It is really difficult to call to order family members for their wrongdoing. How does one call out a family member for doing something wrong to someone else who is not a family member without being seen as betraying the family? How does one hold an esteemed family member accountable when they have inflicted pain on someone who is not family, and you know the family member is wrong? These are questions I grappled with growing up when I would witness my uncles cheating on their girlfriends. It would be taken for granted that I would be loyal to my uncle and say nothing. I was both being socialised into the world of men and also learning about family loyalty; that you protect family even when they are in the wrong. As an only child the brother and sister relationship between Basimane and Naledi and the loyalties that are expected of this relationship fascinated me. As Naledi grows older and she starts to experience the world as a young woman, she starts to see her brother in a different light and that dark incident one afternoon changes her view of her brother. This book makes you question how well you think you know your siblings and what they are capable of. In the end it is Naledi who carries the guilt of what her brother does. The brother moves on while his family and his community protect him. He is unscathed by his own bad actions. In fact Basimane is defended by his family and by his community without really engaging the fact that he might be guilty of wrongdoing. The author calls to attention the ways in which families and society nurture boys. This book calls into question the expectations we have of young men like Basimane. This book unveils the built in nature of the unequal gender system in operation in our communities; a system where women are already disadvantaged by the mere fact of being born women. This built in system of protecting male privilege at the expense of women is captured in laugh-it-off phrases like “boys will be boys” which endorse destructive behaviour. This is a South African story that exposes our troubled gender relations. This is a story that left me feeling like we have a lot of work to do in undoing gender. We have come a long away particularly with legislating gender equality, but we are far away from making constitutional gender equality a reality in women’s everyday lives.